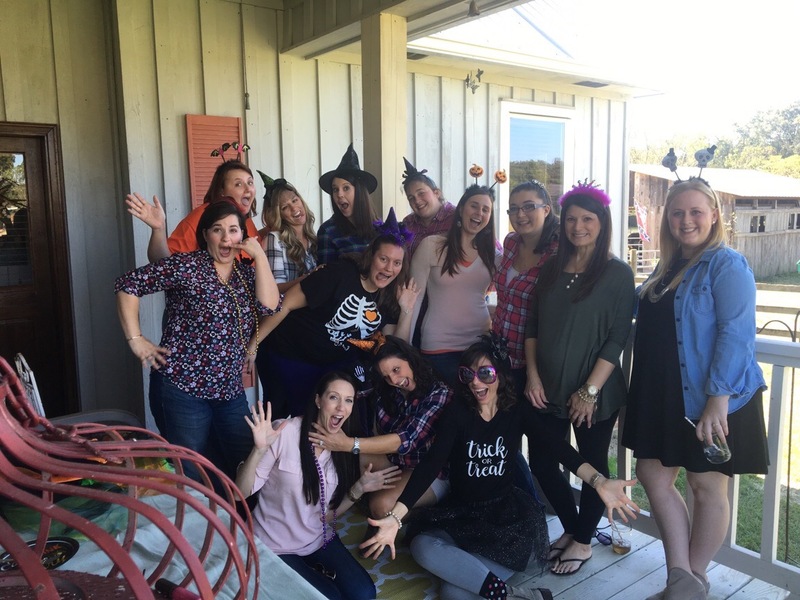 I was feeling extra festive this year and decided to host my very first Witch’s Brunch for some of my infertility sisters of Sarah’s Laughter. 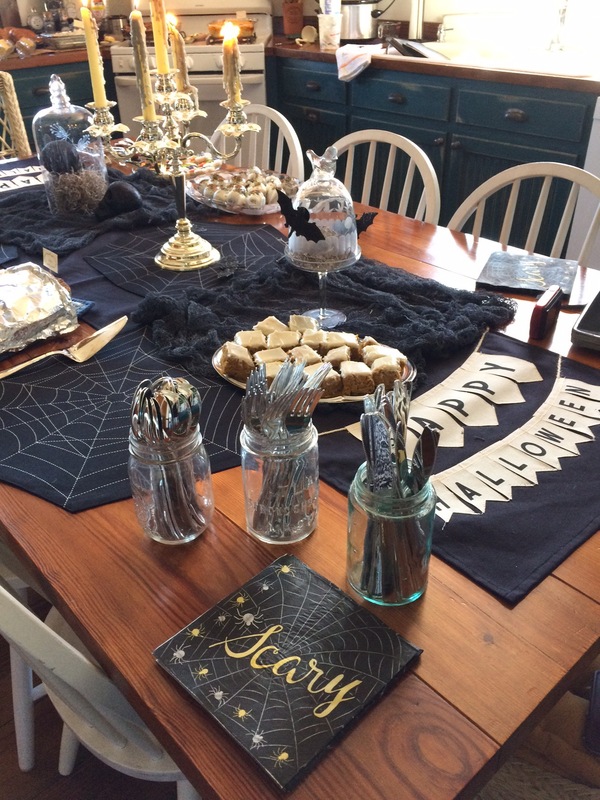 The Halloween Brunch idea was originally inspired by Lauren Palmer’s blog The Art of Living Beautifully. 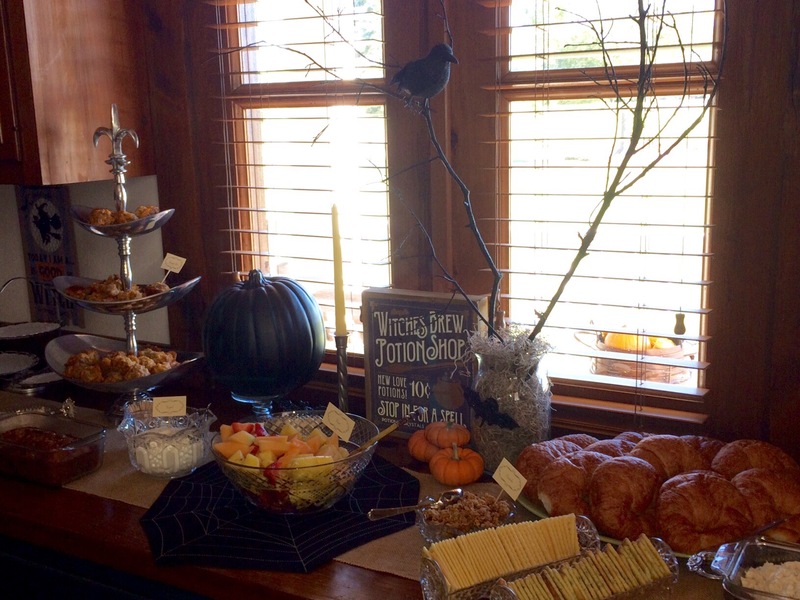 After hosting my first one, I can understand why she has one each year for her near and dear witches. It was very special to catch up with all my girls and show them just how much I love them. We all have our own stories and are in different places in our journey but the bond is still very strong. 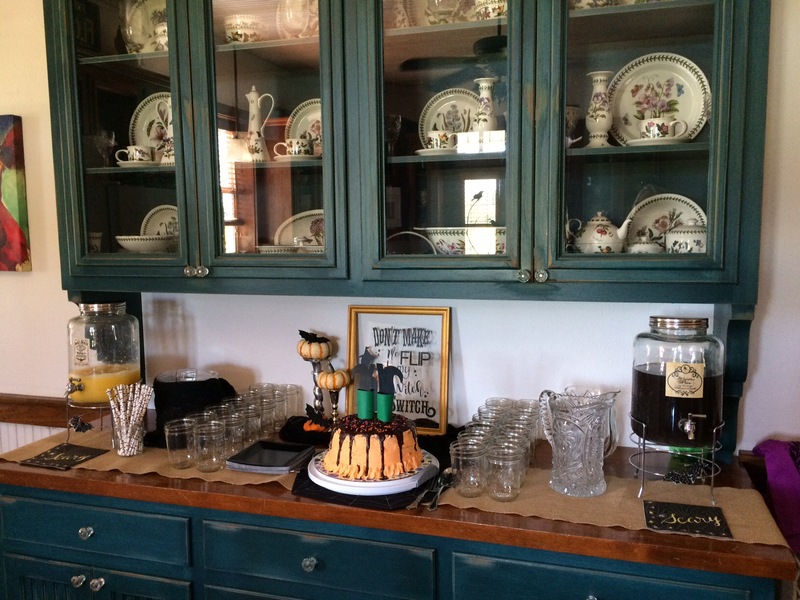 Since this was technically my first official party at our farmhouse, I went all out for this crew. 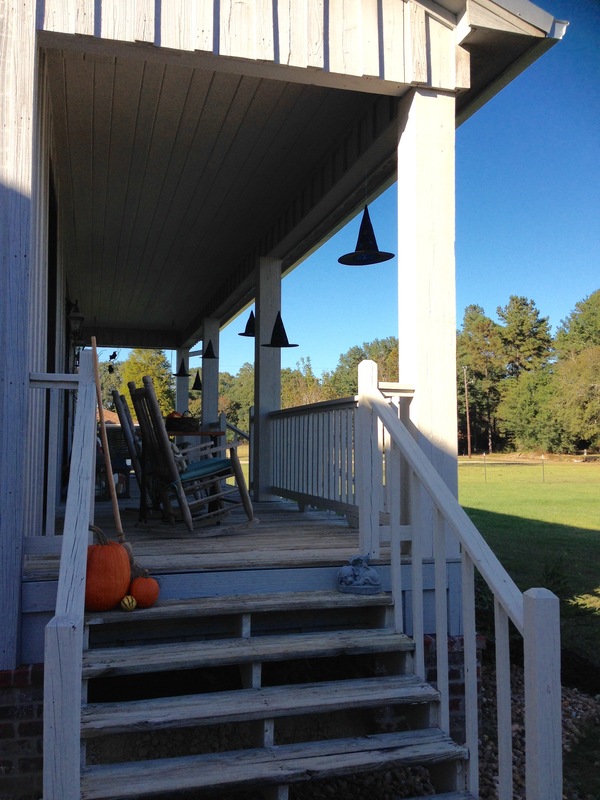 I don’t usually decorate for Halloween and never really desired to until we moved to the farm. 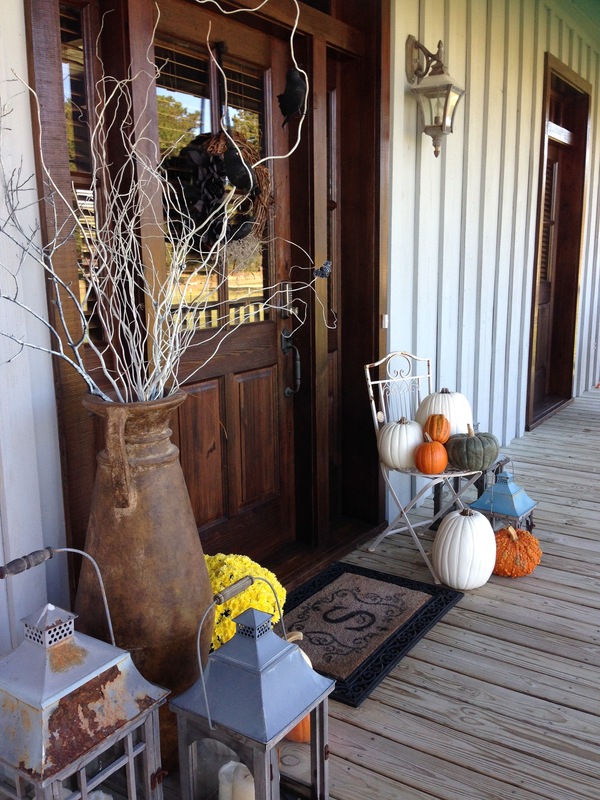 I wanted the exterior to have touches of Halloween but also allow an easy transition into fall. The distressed lanterns were in someone’s garbage! One woman’s trash is another woman’s treasure. Sure, they need some repair and I had every intention of fixing them but the more I look at them, the more I love their imperfections. 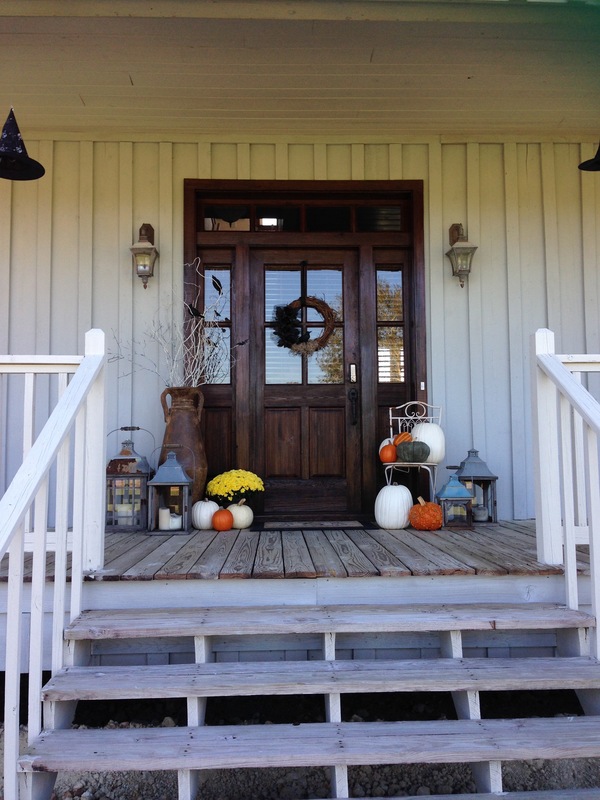 The missing front doors and rust give them character and charm you don’t find in brand new. My sweet cowboy also created a beautiful cypress table top for the Singer sewing machine base I inherited when my parents recently purged their house. 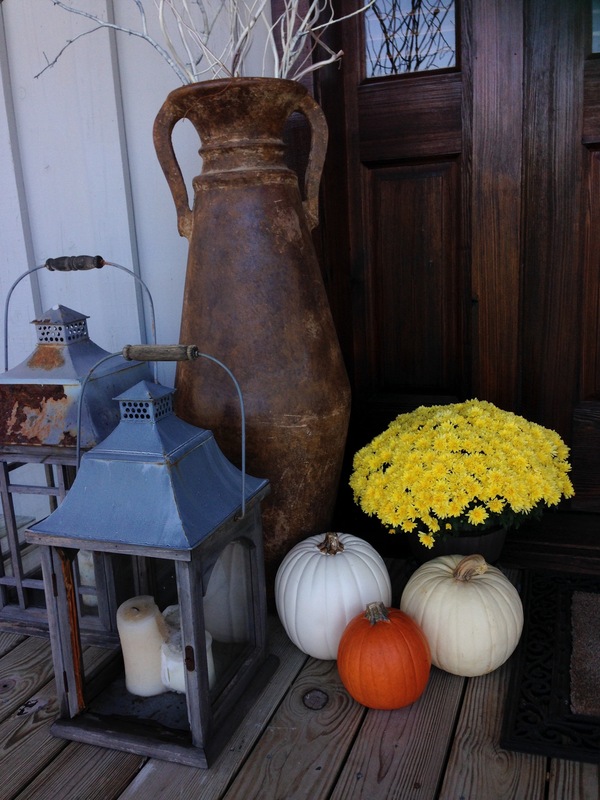 It fits right in and looks as if it was meant to be on our front porch all along. 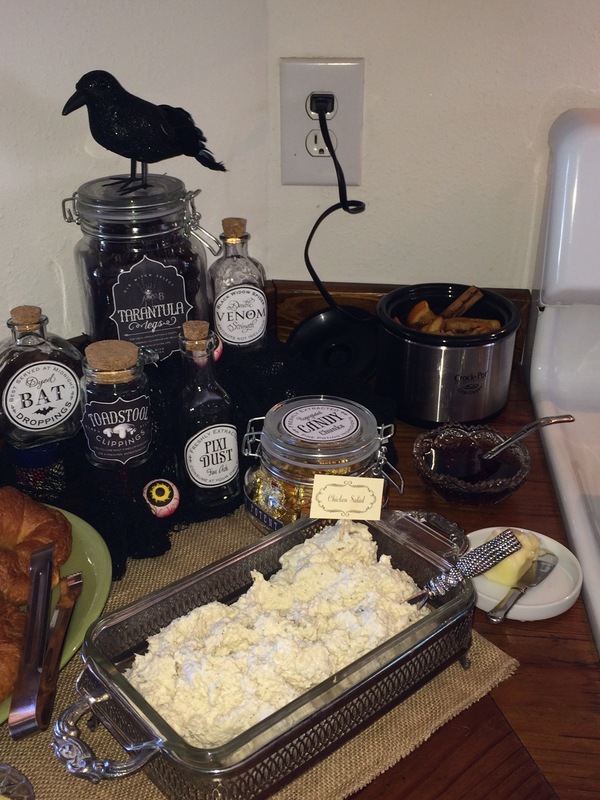 My design inspirations for the Brunch were black crows and witch potions, all in a black and cream color scheme. 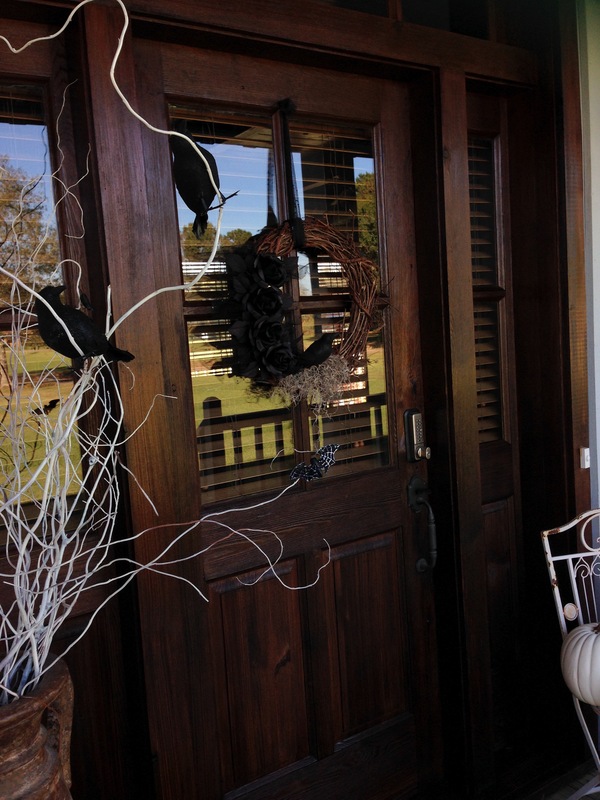 Once Halloween is over, the black crows can be removed and the wreath swapped out for a perfect fall look. My mother-in-law is a master at DIY wreaths and she was kind enough to assist me with mine. She also introduced me to Dollar Tree seasonal decor. Most craft stores have huge seasonal selections but the prices aren’t usually budget friendly. When in doubt, stop by Dollar Tree. 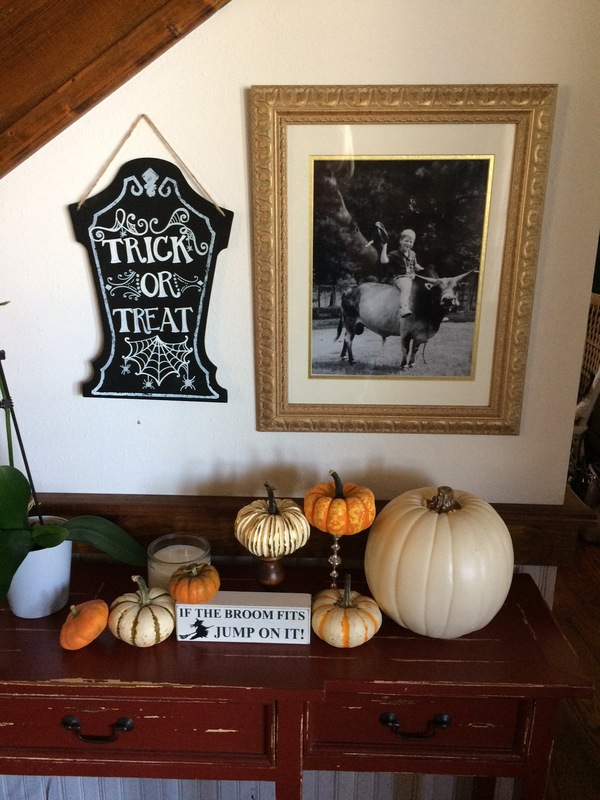 You will notice throughout this post the black crows, bats, sculls, rats, witch hats and a couple signs used in the decor were all from Dollar Tree. The hanging witch hat idea was another fabulous Pinterest find. My sweet coworker tracked these down at a local Dollar Tree and helped me complete my front porch vision. How about our liberty bell debut? The yolk of the bell was damaged in the move and we were determined to have it fixed up right. Andrew hired a local welder to fix the yolk and I picked out the perfect shade of red, Caliente by Benjamin Moore. 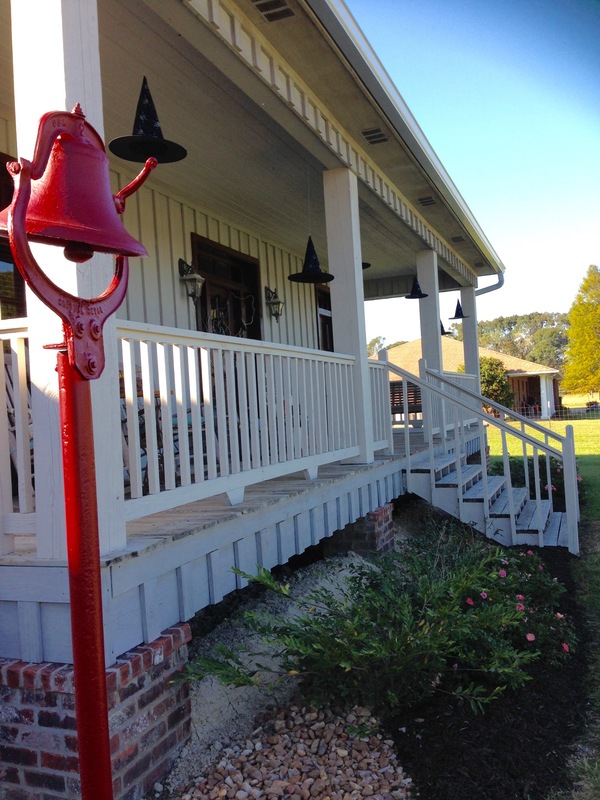 This bell holds a special place in our hearts because it was originally located at Andrew’s grandparents’ farm in Frankston, Texas. They sold the farm and passed this beauty onto us. We made many memories at the farm in Frankston and I feel honored to display this piece of history front and center. 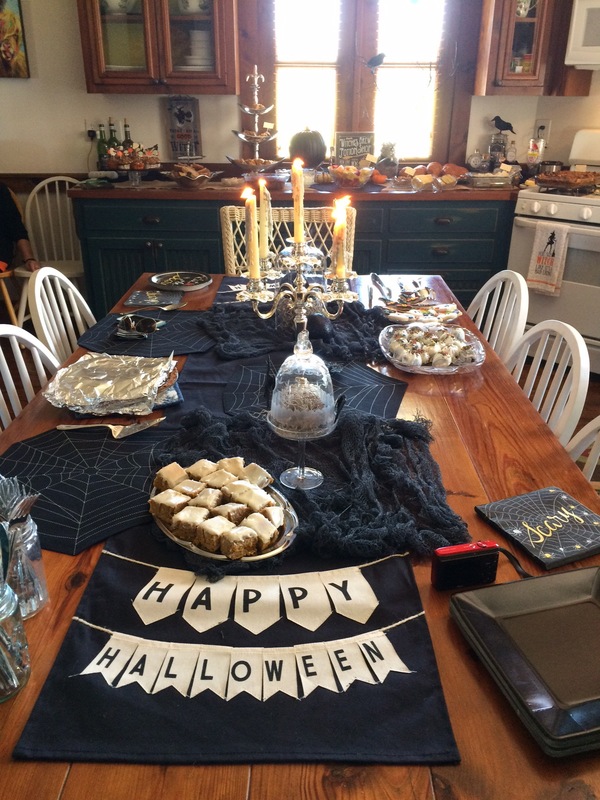 At the start of my Witch’s Brunch planning, I had a picture in my mind of an elegant but funky, fun tablescape for the kitchen with soft layers of black, cream, silver and gold. I scoured TJMaxx and Dollar Tree and borrowed items from friends and family. I was pleased with every little corner of detail. 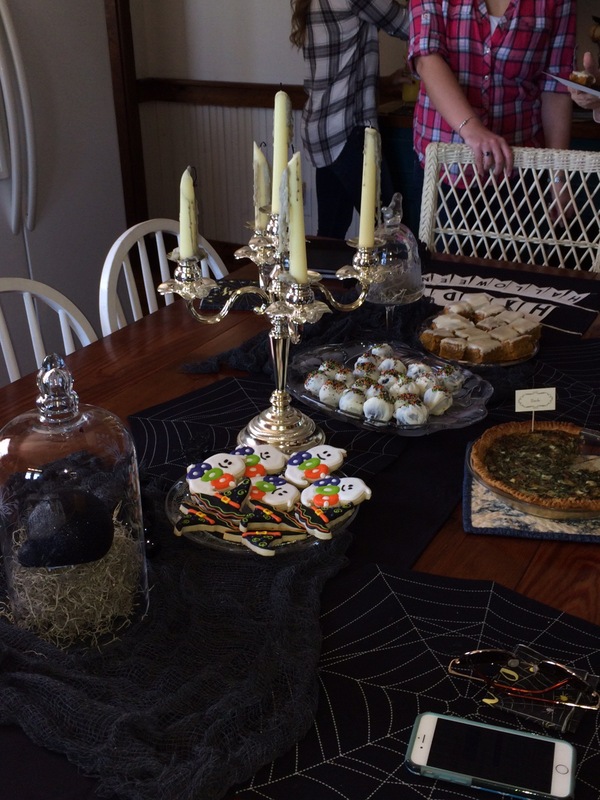 The girls contributed in such a fun array of cookies, cookie balls, mouth watering pumpkin squares, breads, fruit salad and one witchin’ cake. Is that cake not the cutest thing you have ever seen? The framed art piece in the background was designed by yours truly in Cricut Design Space. Our farm kitchen is wide open and has plenty of counter space for entertaining which made it easy to plan the flow of the party and to display each station. 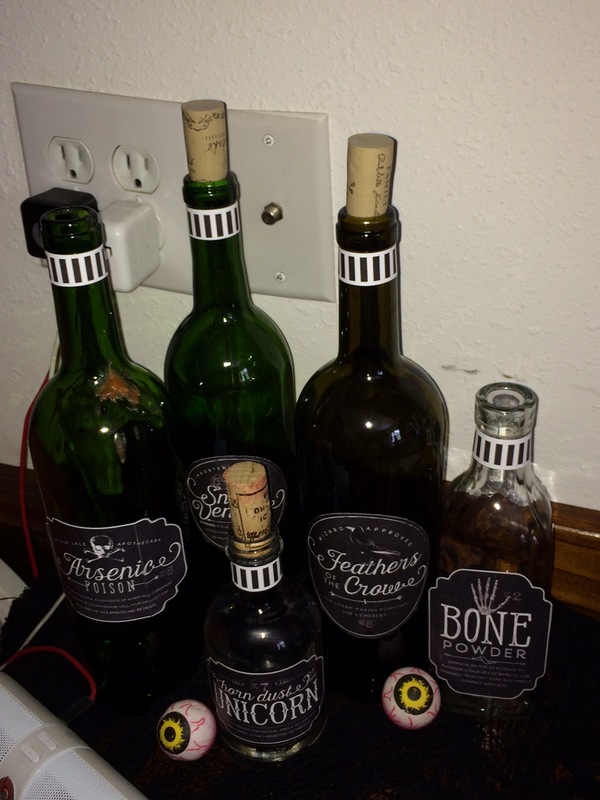 I had such a wonderful time creating potion bottles which added to the overall witch theme. 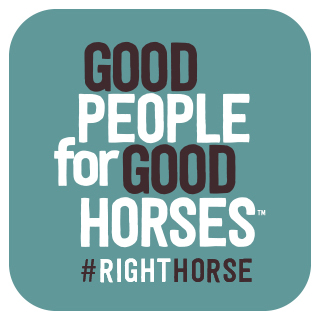 I was able to find some free printables from Lia Griffith. Simply print on solid label paper, trim and stick to your choice of bottle. I passed the word around that I was on a search for unique bottles and a coworker came to my rescue again, bringing me several neat finds. The eyeballs were a nice creepy touch don’t you think? I carried the black crow theme throughout the living room with more of my mother-in-law’s wreath skills. 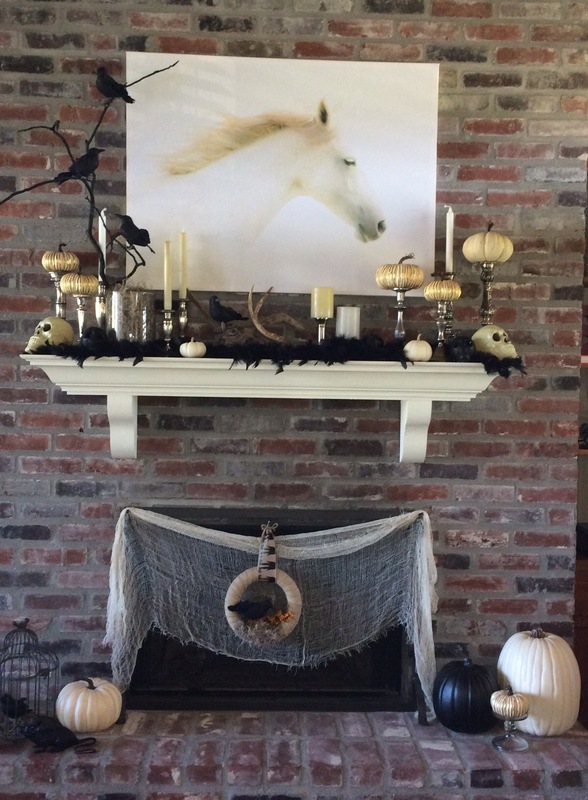 You know I wouldn’t have anything other than a horse over our mantle and it blends so beautifully with the continued cream and black color scheme. Another Dollar Tree find was the chalkboard sign below. $1 for that cutie and it was a blank canvas when I bought it. I drew my own design with a chalkboard pen. Check out that sweet boy on the bull, my one and only cowboy. 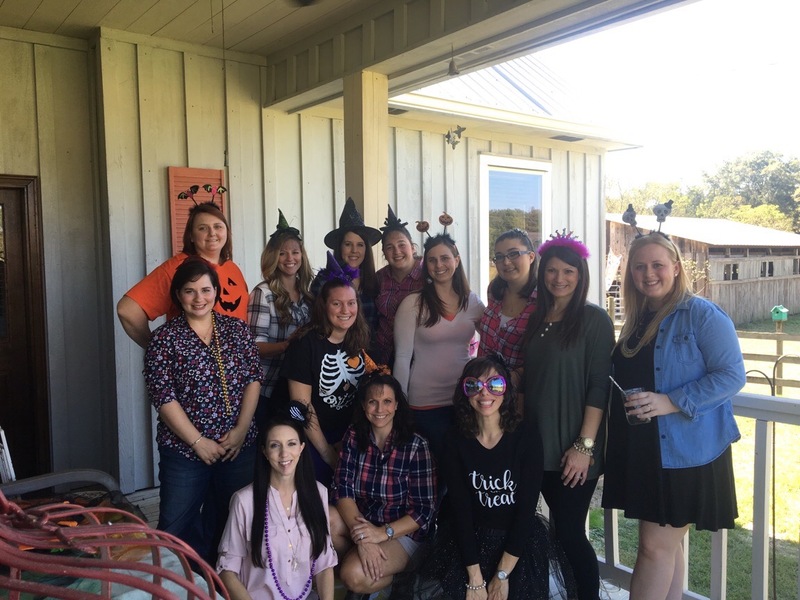 The brunch was a complete success and it meant the world to me to have all my Sarah’s Laughter girls share in some good food and a taste of the farm life for an afternoon. There were several girls that couldn’t join us and each were missed terribly. But we found ourselves acting silly like we always do. 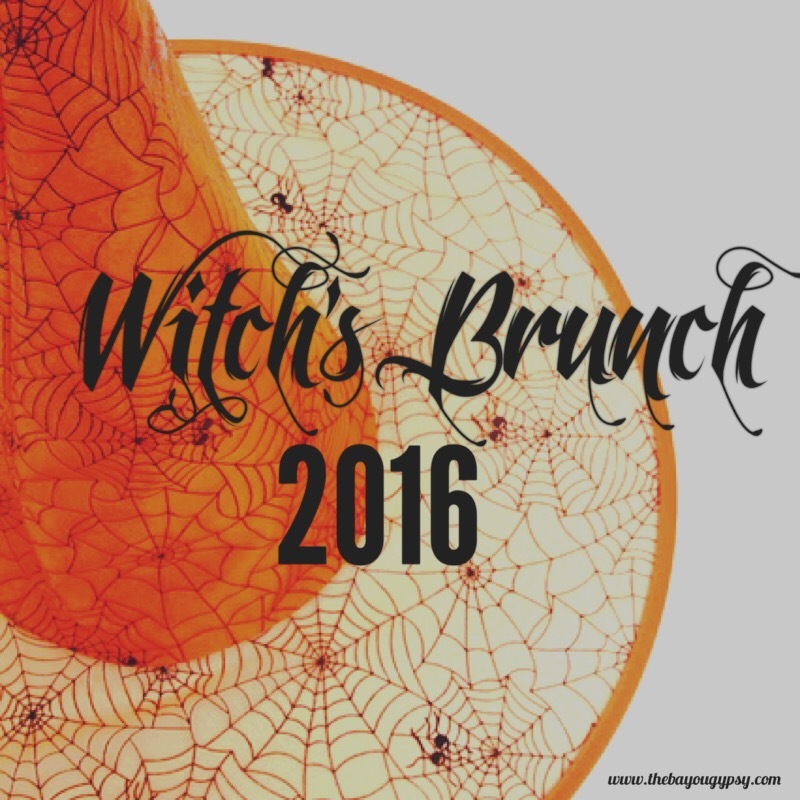 That’s a wrap on the Witch’s Brunch! 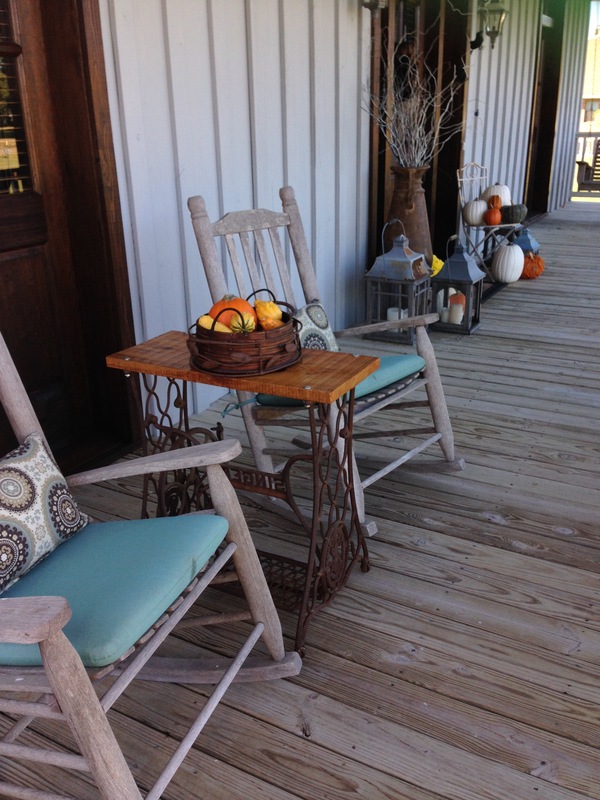 Don’t forget to come wander with me on Instagram, Facebook and Pinterest. Next Post Follow me, the bayou gypsy. We MISSED YOU!!!!! And yes, you will be there next year. 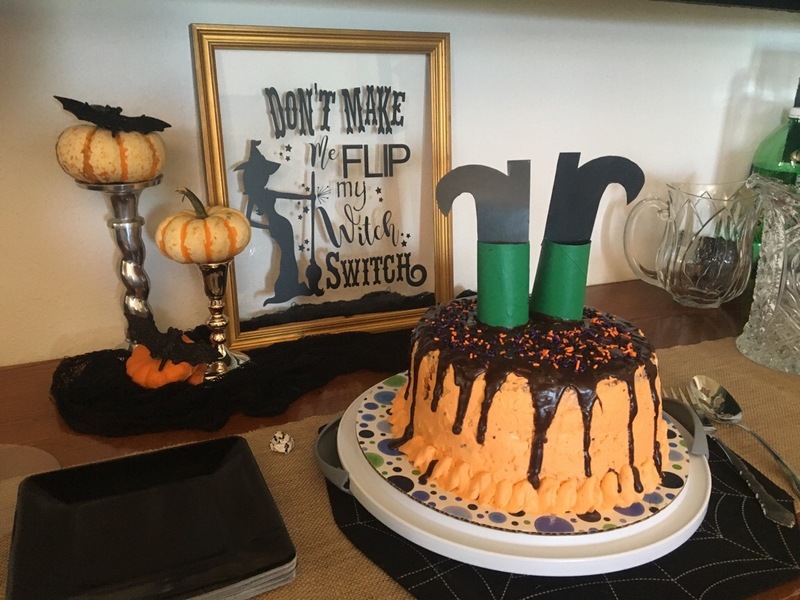 I had a lot of fun decorating – can you tell?! I took that picture of Andrew! I had it made into a sticker size and wore it in a picture locket. I wore it for several years. Think I still have it in storage. When we get our stuff moved here I will give it to you. Love you. You did a great job. I absolutely LOVE that picture of him. It pretty much sums him up in one shot. Fearless, precious & a cowboy through & through. I wish you would have been there since Halloween is your holiday😉 maybe next year!